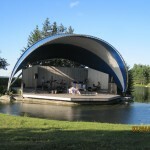 This year the movement hold three Ultreyas outside in the summer at the band shell in Andrew Haydon Park. Announcements for dates and times are made on this website, through the e-Rainbow and through Facebook and twitter. Since our diocese is quite large geographically, Regional Ultreyas may be held in different churches on a rotating basis and may not take place at certain times of the year, please be sure to confirm the date and location. We endeavor to keep this information as up-to-date as possible. 2nd Friday of every second month, i.e. 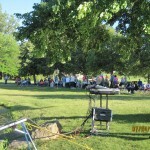 Feb, Apr, Jun, Oct, Dec 7:30 p.m. St. Thomas the Apostle, 2345 Alta Vista Dr.
Wednesday, July 24 – 7:00pm with Circle of Blessing providing the music. 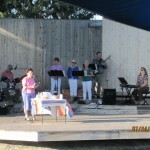 Wednesday, August 21 – 7:00pm with Derek Reid, Joanne Minish, Laura Barkley, Susan and Ken Delmage, Ian Kelly and Diane Brown providing the music.